Do you ever feel as though work is getting on top of you? Do you feel like all you do is work? Don’t fret, plenty of us Brits feel this way too and for good reason – we’ve set ourselves up as a nation of over-workers. Coming in at second place, just behind America, the UK has one of the longest working weeks in Europe. Averaging out at 48 hours! No wonder we’re all on the brink of burn out, complaining we don’t have any free time. Compared to sunny Spain, where the average working week is only 38 hours – we are losing out on 10 hours of relaxation time every week. Over the last few years, there’s being a growing interest in the word “productivity”. How can we be more time-productive? Can we work less and achieve more? 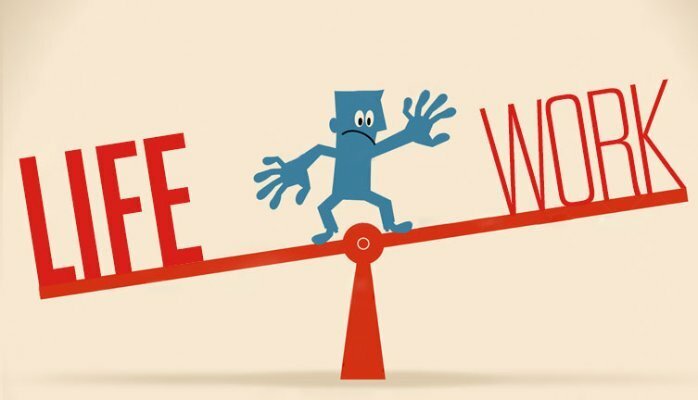 Better work-life balance is much needed for many people. We’ve compiled our top 5 tips for getting back some “you time”. Email – can you step away from it? Many of us don’t realise that we subconsciously get distracted by emails. If we are constantly online, we never switch off – mentally or emotionally. Stepping away from email at the end of the working day is a great habit. Resisting looking at email on your phone once at home is an even better habit. The practice of completely turning off all of your devices is also a wonderful thing to do. If you plan on relaxing and taking the evening to refresh – turn off your phone. This complete “disconnection” from the online world is a great way to rest and restore. It gives us time, which we can use however we like. A good movie with friends, dinner with a loved one or just cuddles on the sofa with your pet. As empathetic humans, we love to help. We want to do our best and support the networks around us: work, friends and family. However, being this “available” leaves little time for “you”. We like the word “no” and sometimes, it’s very necessary. Try harnessing the power of no, or at least “sorry, not right now”. It will gain you more time. A lack of sleep affects how productive we are. If you’re sleep deprived, the likelihood is that you are working much slower than you think and therefore, spending longer at work than you really need to. The Mental Health Foundation released some statistics to show that when people work long hours: 27% feel depressed, 34% feel anxious and 58% feel irritable. Getting enough sleep re-charges the brain, allowing for more productive work. A healthy work-life balance starts with structure. Have you ever sat down and designed your day, your week or even your month? Writing down the tasks you have to do that day and ticking them off as you go is a great way to stay on top of things. Not only that – planning out the whole week helps to place tasks in a more realistic manner. Admit it, haven’t we all tried to “build Rome in a day”? Being able to jot your work tasks down over a week or even a month, allows you physically see blank spaces where your free time is. When you see it – take it! Try not to fill it in with something “more productive”. You deserve time out. It’s important for a healthy work-life balance. We’d love to know if you have any tried and tested tips?